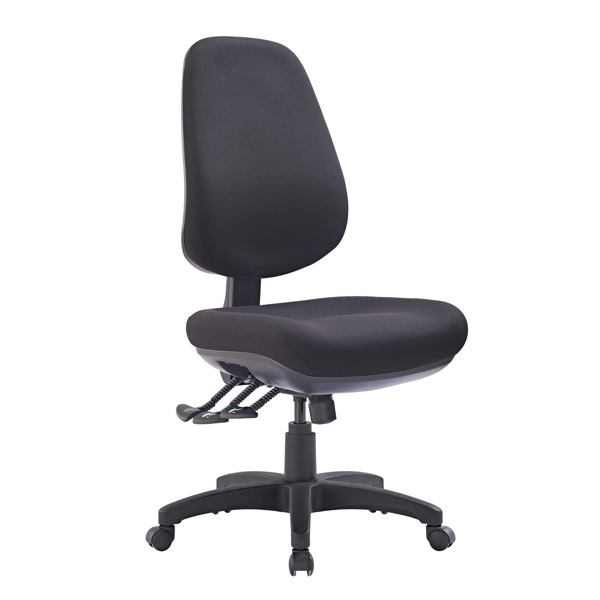 The meticulously designed TR600 Task Chair with moulded seat and back foam and mega big boy seat helps you maintain a healthy, comfortable and ergonomic posture throughout the day. Features adjustable seat height, back height (ratchet), seat and back angle with adjustable weight tension. Three (3) lever heavy duty ergonomic mechanism. Available in Metro Black or Metro Ink (Blue) fabric options.